Single Deck Oven. This Electric Baking/ Finishing oven is self contained, conveyorised and stackable up to two oven cavities high. It is designed for countertop use and must be used with appropriate 4" legs for proper cooling. Temperature is adjustable from 93°C - 288°C. 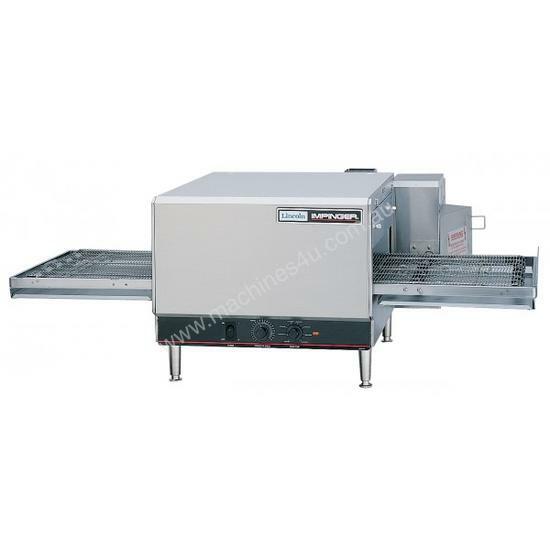 Conveyor speed is adjustable from 1 minute to 24 minutes cooking time. Belt width is: 406mm (16"). 1300 Series available in electric only.